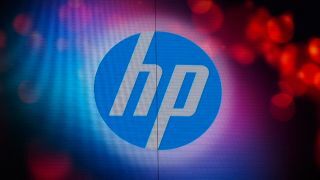 HP has filed revised accounts for Autonomy that show an 81 per cent reduction in the 2010 profits of the firm's Autonomy Systems Limited (ASL) arm and a 54 per cent reduction in its 2010 revenues. The news follows a long-running investigation by HP into the accounting practices of UK-based Autonomy. HP bought Autonomy for £7.1 billion in 2011, but wrote the value of the company down by £5.5 billion a year later, accusing the company of "accounting improprieties". In 2010, before being bought by HP, ASL's accounts, delivered by Deloitte, reported post-tax profits of £105.7 million and revenue of £176 million. The revised accounts, delivered by Ernst and Young, show profits as £19.6 million and revenue as £81 million. According to a report in the Telegraph, HP claimed in 2012 that Autonomy's management team had made a "willful" effort to "inflate the underlying financial metrics of the company in order to mislead potential buyers". The substantial work necessary to prepare these accounts has revealed extensive accounting errors and misrepresentations in the previously issued 2010 audited financial statements, including the problems previously identified by HP." Autonomy's chief executive Mike Lynch says the discrepancy in figures is down to different accounting rules used by HP and Autonomy.